I’ve a weakness for Irish writers many of whom seem to specialise in spare, almost terse yet elegant prose from which the occasional lyrical gem shines out. Colm Tóibín, John McGahern and William Trevor – whose The Story of Lucy Gault is one of the saddest books I’ve ever read – are amongst my favourite writers. Their work is often infused with melancholy. Hardly surprising given the sadness of much of their country’s history and it’s that past that throws a dark shadow in Johanna Lane’s first novel, the story of a family no longer able to maintain their nineteenth century Donegal estate. Black Lake opens with an almost dreamlike chapter: the mother has taken her daughter from her boarding school, installed them both in the ballroom of the old house and locked the door. Their meals are left outside, the mother gives her daughter lessons and the father does nothing for what seems like months until, finally, the door is removed. In the ensuing chapters, Lane gently unfolds the events that have led to this unhappy state of affairs. John and Marianne met at university. Marianne the party girl and John the conservative, naive observer, always on the edge of things – they made an unlikely pair. Marianne’s ambivalence to Dulough, its grandeur and isolation a shock when John first revealed it to her, has turned to love for its beautiful gardens set against their mountain backdrop. John has carried the burden of Dulough’s declining finances for most of his adult life and has taken the only path open to him moving his family out as part of a deal with the government to open their home to the public. The move from the big house to a cottage on the estate unsettles the family, ultimately with tragic consequences. At first, Lane alternates her narrative between John and eight-year-old Philip who tries to find ways to accept the sudden turn of events. John is kind but otherworldly – at times a little exasperating in his ineptness. So bowed down is he with the responsibilities of Dulough that he fails to see the effect of his actions on both his family and the Connollys, the housekeeper and gardener closer to him than he was to his own parents. History is everywhere in this novel from the evictions when the estate was established – still a scarcely healed scar on the village – to John’s decision to embroider Dulough’s past in a lie which offends the people he holds most dear. Lane expertly catches a sense of place and the powerful attachment where we live can evoke. It’s a tragic story, quietly told and all the more effective for that. 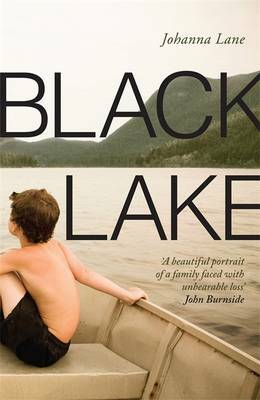 This entry was posted in Reviews and tagged Black Lake, Books, Ireland, Irish fiction, Johanna Lane, Tinder Press on 9 May 2014 by Susan Osborne. That’s lovely, Kerry. Lucy still gets my vote for the saddest story but this once called it to mind. Unbelievably, given Monday’s post, H took Lucy on hols with him, despite my warning, which may explain his current unhappy ending phobia! Many thanks for your kind words, Anne, and happy to have a link. Always keen to help spread the word about good books. Sounds like an interesting new voice. Yes, I’ll be on the lookout for what she does next. Delighted to have made a convert! I think it’s a book you can read and re-read, and still find new things in it. This sounds like a great story. Thanks for highlighting an Irish writer. I think Irish writers are pretty much forgotten in contemporary literature, aren’t they? I think you’d like it, Elena. You’ve pinpointed one of the things I love most about Irish Fiction, namely the way in which the authors so often deal with their troubled history, in all its forms. There is a really interesting group of Northern Irish crime writers tackling the aftermath of the more recent troubles for the new PSNI that I find fascinating. I would be interested to hear who they are, Alex. I remember Lionel Shriver looking at the criminality that had resulted from the troubles in Ordinary Decent Criminals many years ago. An excellent novel – I learnt a lot from it. The two best, Susan, I think, are Brian McGilloway and Claire McGowan, both of whom are concerned with the accommodations that the PSNI and the Garda have to make to keep the precarious balance of peace. McGowan is the new kid on the block. Her first novel was a one off set in London, worth reading but not in this context. Her second and third both feature a forensic psychologist working in a small town not far from the border. She is growing in stature with each new novel and I think she is going to be very good indeed. McGilloway already is very good. He has two series, one on either side of the border, and both are beautifully written as well as carefully plotted. He is Head of English at Seamus Heaney’s old school, which possibly accounts for the outstanding style. I don’t imagine you get to be Head of English there without being able to write well. A friend mentioned McGowan to me recently. Perhaps I’ll start with her. Thanks, Alex.